In essence, all spreadsheets are the same in that they help organize and analyze data. 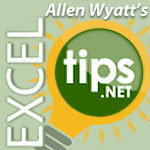 The main difference between Microsoft Excel and other spreadsheets is the interface. Learn how to replace the regular bars (in an Excel bar chart) with your own graphics. If you are an Excel worksheet that contains address information, you may want to convert nine-digit ZIP Codes to their five-digit equivalent.